with Free Download link. 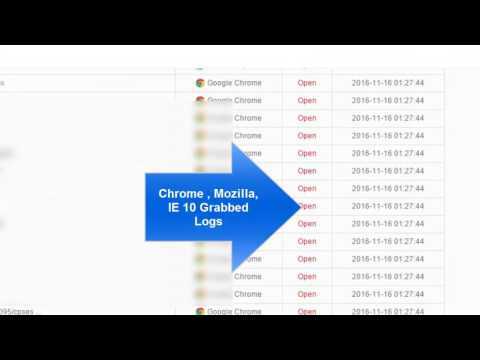 As This keylogger is a paid Dont worry It has been Cracked Successfully and i will provide you a cracked version of latest Hawkeye Keylogger which is clean. Keyloggers are used to Track all your Keystrokes in your system Mostly used for Parental Purpose and also For Spying Purpose , and Keylogger is one of the Best Technique to Hack Facebook , Gmail or any other Login account on your system , This Keylogger will Silently Record all your System Keylogs and Send on your Desired Email id or FTP.The attacker make a executable by using keylogger and send it to victim. As soon as victim opens that file his account gets hack. 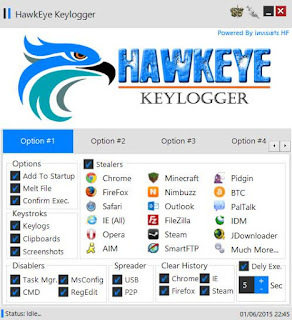 So here i am sharing an awesome keylogger tool with you named HawkEye Keylogger for Free. By the way its price is 35$ But on my blog you will get it for free. Double click the Builder . HawkEye Keylogger is providing you three types of deliveries, delivery of logs via email, via ftp, via php, selecting php can be the best idea if you're targets are good computer operators. b) Enter link of data.php file where you've uplaoded it. (you'll get this file with the package & you need to upload it on any website). c) Enter delivery time, if you're going to have a lot of targets then selecting maximum time period would be better, in my case I'll get my logs every 30 minutes. d) Click on Test, if successful it'll give you a message & a file will be uploaded in the directory where data.php file was uploaded. a) Stealers = Going to steal saved passwords of your targets. b) Keystrokes = Obviously you'll have to tick mark Keylogs which is probably the main function of this keylogger. d) It's optional but good option to be selected which is going to erase the history of users' browsers so that they'll have to type every website once again. b) Click on BUILD in order to generate your keylogger file. Give any name & click on Save. 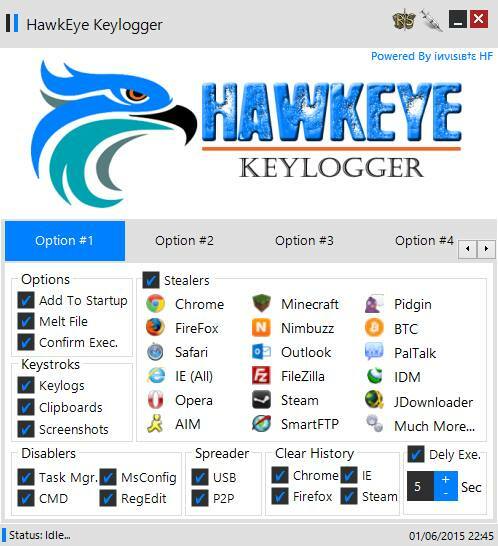 6 Respones to " Hawkeye Keylogger Cracked Free Download | Free Tutorial | 2015 | How to Hack Emails & POP3"
Read this article http://spying.ninja/ikeymonitor/ to get lots of useful articles and helpful hacks on various security issues. You can take a view at 5 reasons you need mobilespy app - dragonblogger so you explore even more argumentative pros and cons of using such apps.